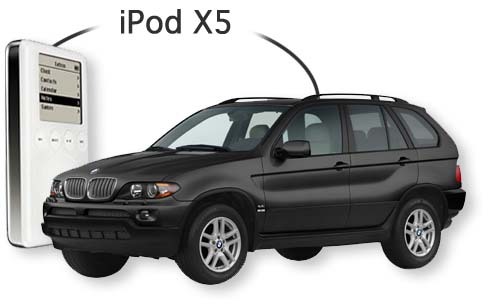 The iPod Car is, simply, a car that is linked into an iPod. A sample is shown above (note: iPod to scale). The iPod is often the determining factor between a car that simply drives places and a car that ROCKS (just kidding)(don't see side images). This car is utterly unremarkable. It lacks an iPod. This man will never score. This car has an iPod inside. Thus, these famous people desire to get inside it. If you were already in the car with the iPod, you, too, would be famous. The particular type of car is not important. Geo Metro and Lamborghini, Peugoet and Dodge Viper alike benefit from the addition of an iPod. In today's world, (well, not the Third World, but who cares about them?) the car is the traditional centrepiece of one's material possessions; it is not only the means by which we commute to our job in the city and which provides that handy cupholder for the morning espresso to fit in, but it is also the throne of power from which we can gesture rudely and shout out the window at those dumb immigrants who just can't get the hang of owning an automobile. Just as the presence of a cell phone affixed to the side of your head like a leech indicates that you are worth talking to, so the iPod jacked into your dash indicates that you are a person of note. 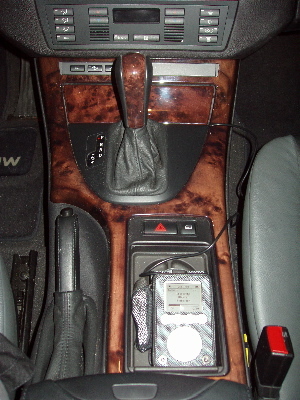 Due to the unique craftsmanship of the iPod, it should be noted that not all cars can easily accommodate an iPod hookup. If this is the case, you will simply have to purchase a new car that does. So the question is, why haven't YOU gotten an iPod Car? Once you've loaded all your Mariah Carey and Avril Lavigne CDs into it and play them constantly whenever anyone else is present, you'll be the object of admiration for all your false friends. 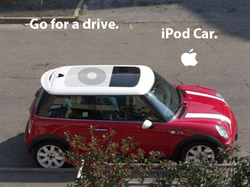 So go ahead: make your car an iPod Car(tm). This page was last edited on 29 June 2017, at 20:05.